American Scene Painting is a naturalist style of paintings and art popular during the first half of the 20th century in the United States. 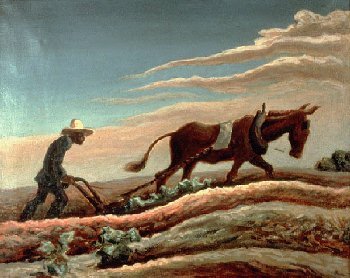 The artists of the movement depicted scenes of typical American life and landscape (painted in a naturalistic, descriptive style). "American Scene" is an umbrella term for the rural 'American Regionalism' and the urban and politically-oriented 'Social Realism', but its specific boundaries remain ambiguous. After World War I many United States artists rejected the modern trends stemming from the Armory Show. 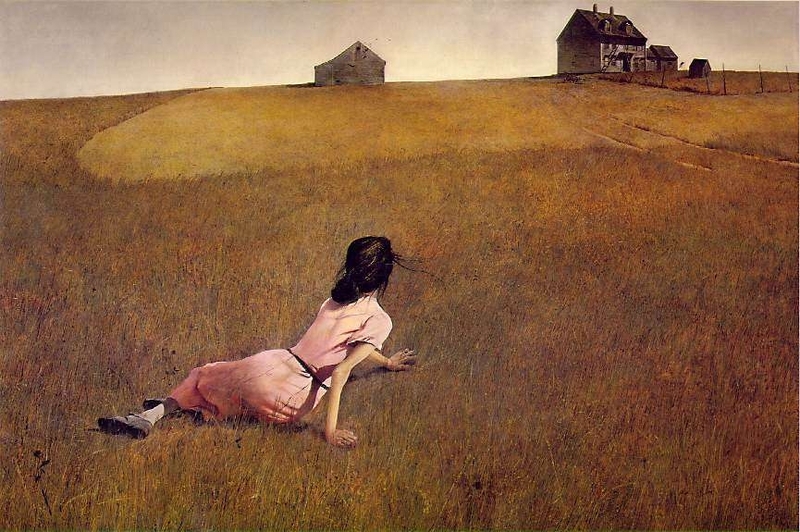 Instead they chose to adopt academic realism in depicting urban and rural scenes. Much of the American scene painting conveys a nationalism and romanticism of everyday American life (whereas Art Deco is more about high class society). 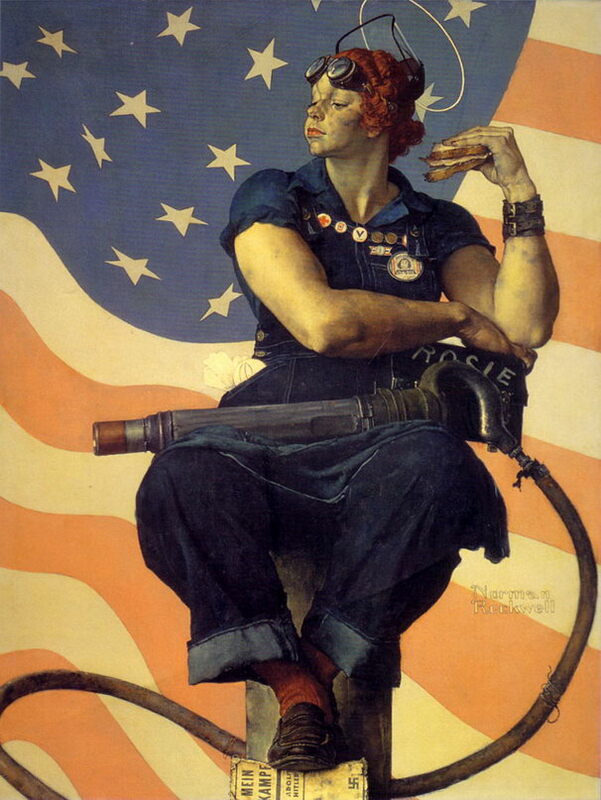 An antimodernist style and reaction against the modern European style, American Scene Painting was seen as an attempt to define a uniquely American style of art. The term does not signify an organized movement, but rather an aspect of a broad tendency for American artists to move away from abstraction and the avant-garde in the period between the two world wars. Benton, Curry and Wood were the three major representatives of Regionalism. They had all studied art in Paris but they declared their goal to create an art form that would be truly American. These artists insisted that the real solution to the many and growing problems of urban American life, made clear by the Great Depression, was for the United States to return to its agrarian roots. The Regionalist's argument received unintentional support from the so-called Urban Realists (Social Realists), who focused their attention on the city. The art produced by the American Scene artists was ambiguous and cultivated, and it drew from diverse cultures. The choice of subjects might have attested to a quest for identity. Social Realism is a type of American realism which is more overtly political in content, critical of society, marked by its realistic depiction of social problems. The American movement is separate from the French Realist movement of Gustave Courbet and Eduoard Manet. 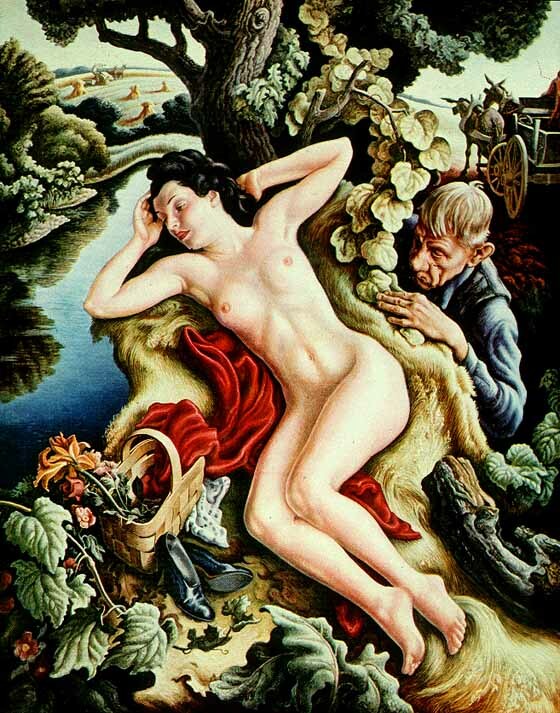 The greatest impact of this art movement was felt in the first half of the twentieth century, however. Mexican muralists Diego Rivera (1886-1957), José Clemente Orozco (1883-1949), and David Alfaro Siqueiros (1896-1974) strongly influenced many North American social realist and New Deal artists. Some of these northern artists emerged from the Ashcan school, while others, like Ben Shahn (American, 1898-1969), evolved separately. Note: Social Realism is not to be confused with the Russian Socialist Realism movement. The works stress local and small-town themes are often called "American regionalism", and those depicting urban scenes are many times called "social realism". 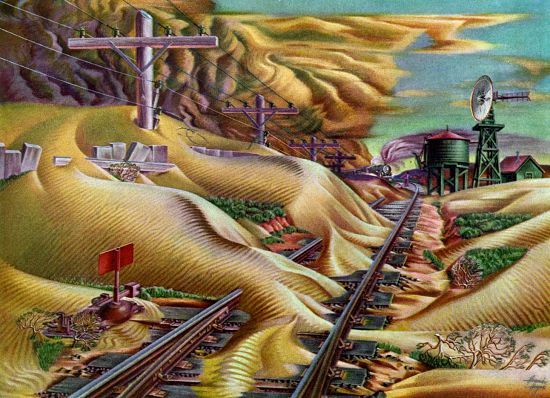 In art, regionalism is a realist modern American art movement wherein artists shunned the city and rapidly developing technological advances to focus on scenes of rural life. 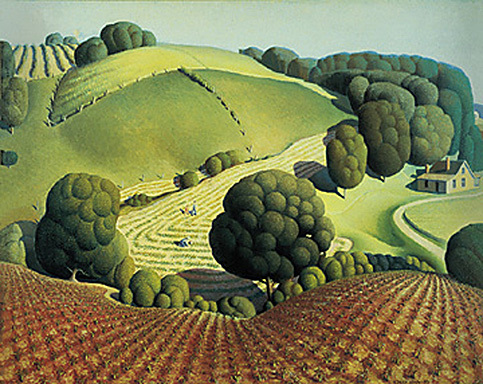 Regionalist style was at its height from 1930 to 1935, and the best known artists were the so-called "Regionalist Triumvirate" of Grant Wood in Iowa, Thomas Hart Benton in Missouri, and John Steuart Curry in Kansas. 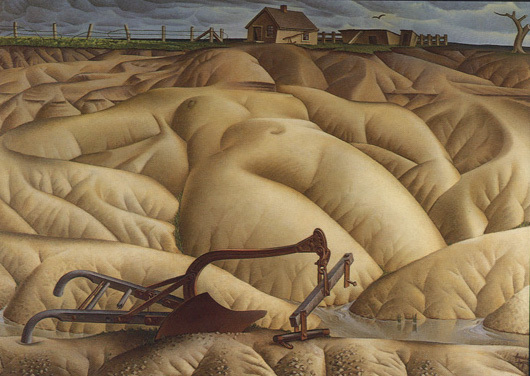 During the Great Depression of the 1930s, Regionalist art was widely appreciated for its reassuring images of the American heartland. In 1935 Grant Wood published the essay "Revolt Against the City", which defended his regionalist beliefs. 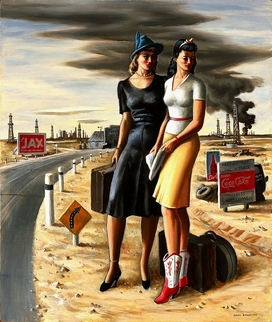 Wood argued that the Great Depression was good for American art because it forced many American artist’s who could not finance a trip abroad to rely on their own tradition, rather than that of Europe. He claimed that to look toward America for artistic inspiration was neither provincial nor close-minded; instead, it creates an independent style that is both personal and narrative. 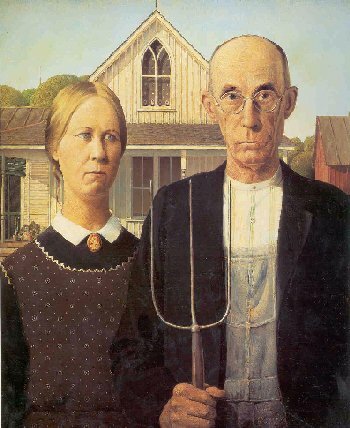 Regionalism had a strong influence on popular culture. 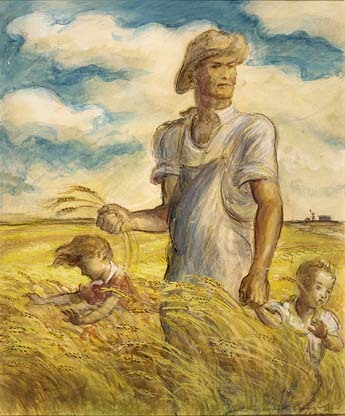 Regionalist imagery appeared in magazine advertisements, and influenced American children's book illustrators such as Holling Clancy Holling. 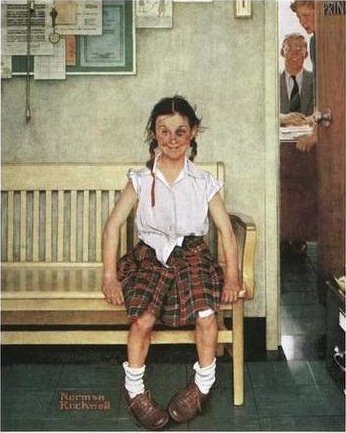 Norman Rockwell is the most popular and easily recognizable Regionalist. 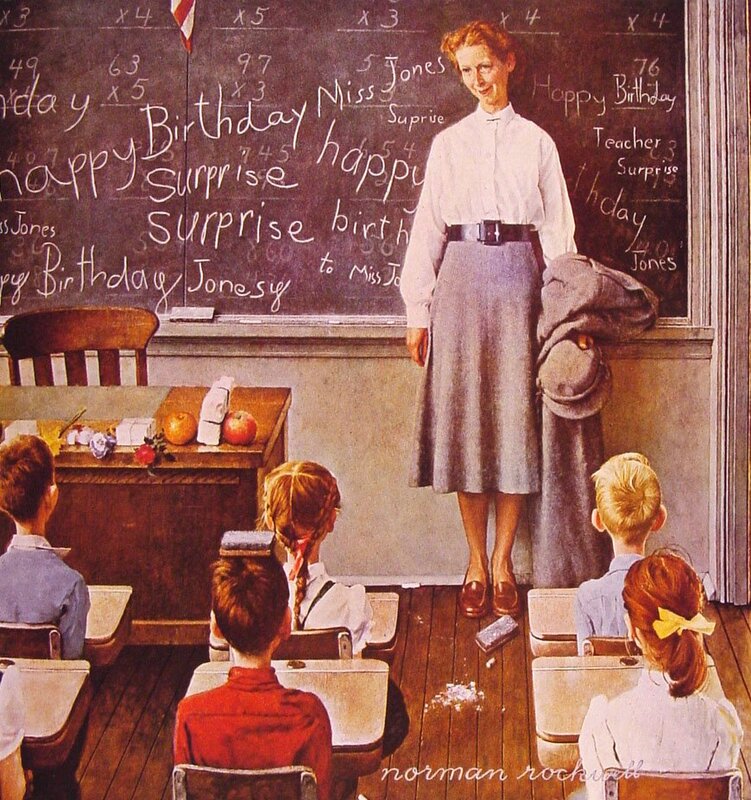 His work appeared in the magazine "The Saturday Evening Post" for over 40 years. His last painting for the Saturday Evening Post was published in 1963, marking the end of a publishing relationship that had included 321 cover paintings. He spent the next 10 years painting for Look Magazine, where his work depicted his interests in civil rights, poverty and space exploration. Throughout the 1930s and into the early 1950s, many American artists sought an indigenous style of realism that would embody the values of ordinary people in the everyday working world. This search for a national style of art grew out of a wariness of European abstraction and a tendency toward isolationism following World War I. In the wake of severe economic uncertainty, social upheaval and political shifts that followed the disastrous Great Depression, American artists maintained a commitment to projecting a very personal view. Intent on shunning the influence of European artists and instruction, these artists struggled to establish and maintain their own identity. 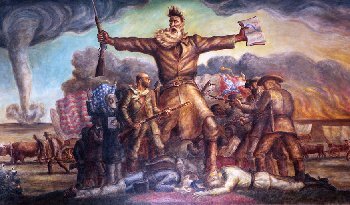 Much of this work, especially that now known as Social Realism and Regionalism, falls within the larger movement known as American Scene. Please Note: Some artists listed above fall into both categories.